The drill is one of Africa’s rarest primates. The monkeys have fascinated two American scientists for almost 30 years, and they have dedicated their lives to preserving them. Drills are certainly unique. With males weighing in at up to 50 kilograms, they are the largest monkeys most people have probably never heard of, second only in size to their close relative, the mandrill. Thought to be extinct as recently as the 1980s, they remain one of Africa’s most endangered and rarest primates. But their numbers have recovered to some extent, and they can now be found in numerous, highly-evolved and complex groups in the thick rainforests of southwest Cameroon, southeast Nigeria and on Bioko Island in Equatorial Guinea. Getting to know and love drills has been a huge part of Liza Gadsby’s life and career. She and her husband Peter Jenkins run the Pandrillus foundation they established 30 years ago. Their main project is the “drill ranch” captive breeding and rehabilitation center, which is divided over two sites. The group’s headquarters is in the town of Calabar in Nigeria, and also houses a nursery for endangered chimpanzees. Prior to arriving here, orphaned or rescued drills are held in quarantine at the Alfi Mountain wildlife sanctuary – the other site. 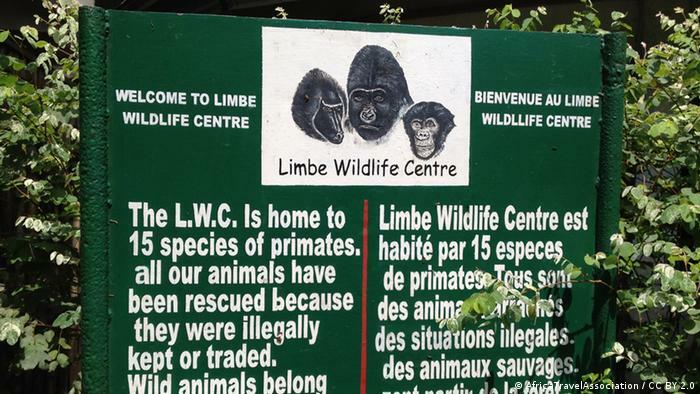 The foundation also helps run the Limbe Wildlife Centre across the border in Cameroon, which is home to other threatened primates. Gadsby and Jenkins initially came to Nigeria in 1988 to see the gorillas – but it was the colorful primates known as drills that really captured their hearts. Almost three decades later, their affection lives on. When DW spoke to Gadsby, she and Jenkins were preparing for a trip to Alfi Mountain, a wildlife refuge that covers 98 square kilometers of dense forest and is still home to wild drills and chimpanzees. It is not their first such journey. In 1989, they set out to look into all the areas where drills might occur to see the extent of their range. They found about 12 different forests, three of them in Nigeria and the rest in Cameroon. But the whole area is only about 35,000 square kilometers – smaller than Switzerland. “They probably have the smallest range of any species of primate in Africa,” Gadsby said. The limits of the drill’s range and the fact that they exist in isolated communities, increasingly detached from one another, adds to the pressure on their population. 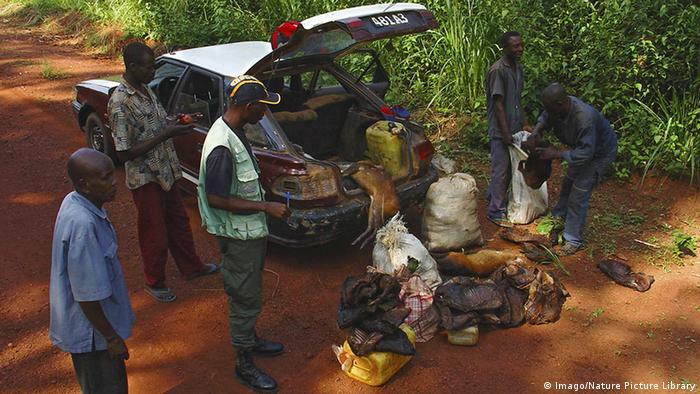 Not only are they targeted by hunters for bushmeat, but large-scale infrastructure plans and agribusiness plantation projects for commodities such as rubber and palm oil imply further deforestation and land degradation that threatens their survival. Nigeria, for example, lost nearly 80 percent of its old-growth forests between 1990 and 2005, according to United Nations figures – and conservationists like Gadsby feel there is little leeway to lose much more. Christos Astaras, a zoologist at the University of Oxford, has studied drill populations in Cameroon for more than 10 years, particularly in the country’s iconic Korup National Park. He says that while ultimately a gunshot is what usually kills a primate, development leaves ever more forest areas open to encroachment, and destroys habitat. Many conservation projects in Cameroon and Nigeria are run with both international and government support. However, the drill remains relatively unknown, even in countries where it lives. “The level of awareness varies from place to place – but in general people do not know what the drill could represent for them,” said Serge Kadiri Bobo of the University of Dschang in western Cameroon. Having worked in Nigeria for 30 years, Gadsby says there needs to be a balance between development and conservation. “We have to protect these areas that have been identified as important habitats for wildlife and for environmental security. All the areas we are protecting here are critical watersheds for people,” she says. 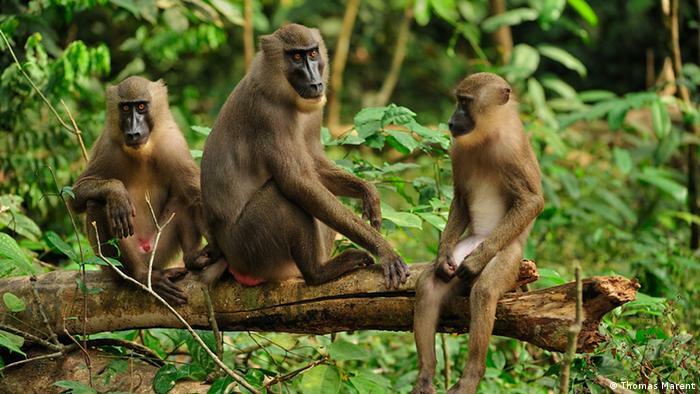 While Gadsby has concerns for the survival of this unique and ancient primate that has only ever lived in this region of western Africa, she believes her organization has made great strides in breeding the animals in Calabar. That is particularly important because drills do not fare well in zoos.